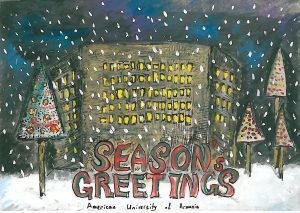 YEREVAN, Armenia – The American University of Armenia (AUA) is happy to announce the winners of their first annual Student Holiday Card Design Contest, Arman Simonyan (first-place, sophomore) and Lusine Aslanyan (second-place, sophomore). 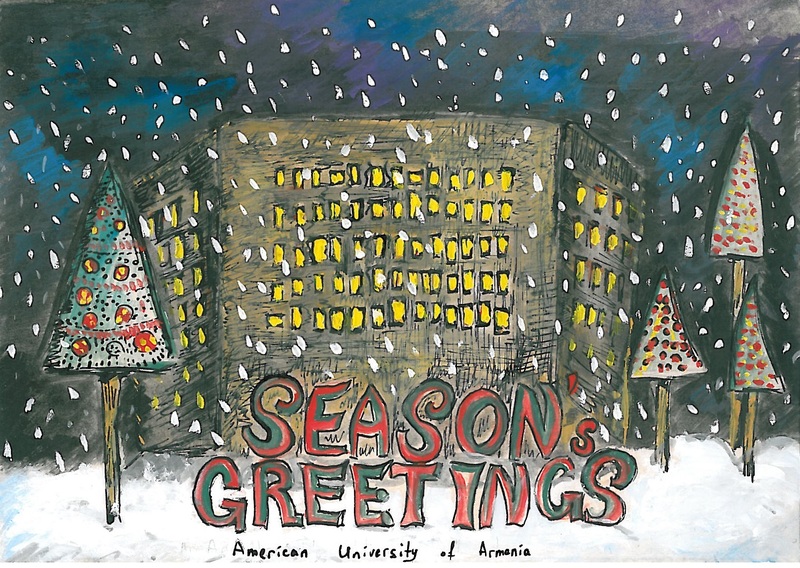 Students were asked to submit original artwork entries for use as AUA’s official holiday correspondence. From October 31 to November 15, AUA students in good academic standing submitted original designs incorporating AUA images, reproductions or photographs of AUA buildings, grounds, icons or an AUA theme. More than 30 students presented their designs and artwork. The selection process took place from November 16-17 and focused on originality, medium of expression, creativity of design, and appropriateness of the theme. Two prizes were awarded, with the first-place winner receiving 150,000 AMD and the second-place winner receiving 75,000 AMD. Winners were announced on November 20. The winning submission, “Christmas Mysteries of AUA,” was designed by Simonyan, a computer science s tudent. 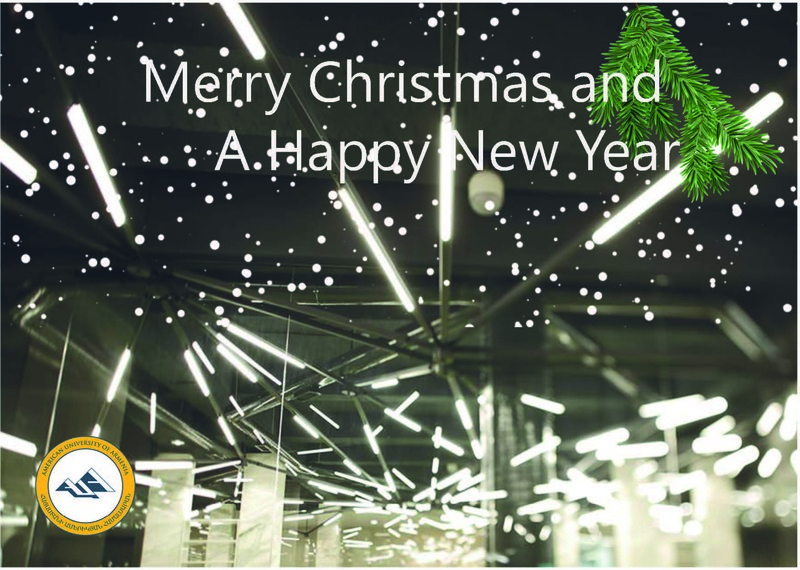 The second-place submission, entitled “Bright Lights Glistening Throughout the Year,” was designed by Aslanyan, also a computer science student. AUA will produce greeting cards using the first-place design and postcards using the second-place design for their official holiday correspondence, simultaneously allowing them to showcase student talent and creativity. The holiday cards will primarily be used by AUA’s development team, who will carry out the University’s holiday tradition of sending well-wishes to their donors and supporters, with whose generosity the University sustains its operations, as a way of celebrating their participation in the ongoing success of AUA and its students. Congratulations to Arman and Lusine.